There is good news for all Ahsoka Tano fans who are sad that she won't appear on Star Wars Rebels after the Season 2 finale! Disney has announced that she will be the protagonist of a young adult novel by E.K. Johnston, to be released on 11 October 2016. The novel covers the time from when she left the Jedi Order near the end of the Clone Wars up to the time she meets the Rebel crew of the Ghost in SW Rebels. 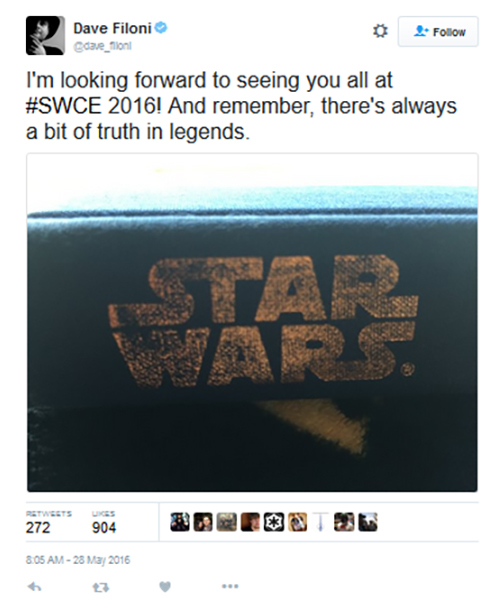 So we will see more about Order 66, how she joins the rebel alliance as Fulcrum...we might even see how she recruited pilot Wedge Antilles who features in the OT and subsequent novels....and most importantly, more about the events surrounding her meeting with Anakin Skywalker just before he went to meet the Chancellor in the PT and became Vader. Yes! I am loving all of the books they are coming out with right now! Just watched that episode last night and . The apprentice and master show down! So many books - now I'm not complaining of course, but would a few comic books or mangas be too much to ask for? @Rimfaxe96....comics are coming..... Marvel comics has announced April 6 as Poe Dameron day and they'll be having a big celebration to launch his new comic book series where he is sent by Leia to search for Luke....hopefully we'll learn more about the FO.. Hopefully we'll get more comic series of other characters as well. So excited! And right around my birthday! 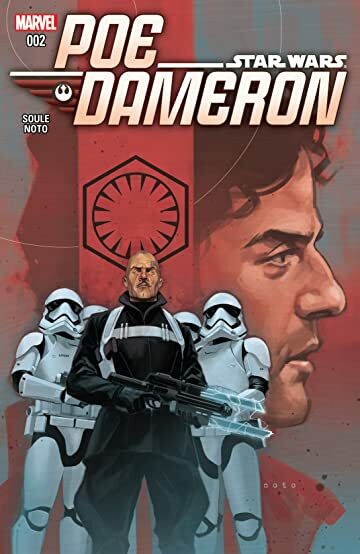 The Poe Dameron comic (by Charles Soule and Phil Noto ) is finally out! It deals with Leia sending Poe on a mission to find Lor San Tekka along with BB-8 and a small team of pilots (black squadron) as he would know Luke's location. 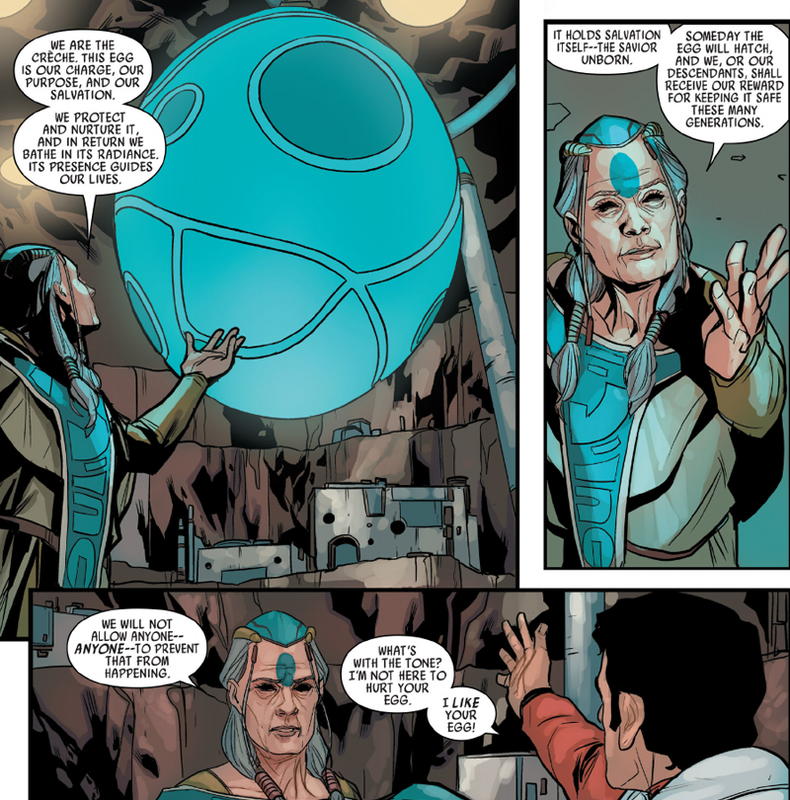 We learn that Lor San Tekka had traveled to every sacred site and jedi ruin in the galaxy, and that he was presumed dead till a holovid of him was found. Poe and his group get to meet weird force worshiping groups during his search and they're also being tracked and pursued by a new FO villain. I'd been wondering about his comic, thanks for posting this. Btw, if this is the case we need to come up with a ship name for Poe/Jessika Pava. Poeva? Idk. But I can't believe this didn't occur to me before, it seems really logical and kind of obvious that Poe might end up dating one of the other pilots. Especially if Finn/KMT's character turns out to be a thing. I collect comics so I'll post updates from this series in case I come across any interesting details relating to the ST.....If they explore a Poe and Jessika relationship, it will probably be shown in the comics.....though I think they would make a really nice looking screen couple....I find Jessica Henwick really pretty....I read somewhere that she was supposed to play Rey before they discovered Daisy Ridley. Jessika Pava appears in Before the Awakening, the TFA novel and The Weapon of a Jedi. 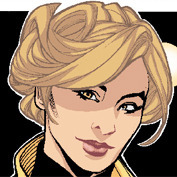 L'ulo was a friend of Poe's mother and her former Squadron commander. He appears in the Shattered Empire comics and Before the Awakening novel. Oddy Muva is a technician who is disappointed he is not allowed to accompany the squad during their search. I suspect he might be a double agent. The name of the villain is Agent Terrex, a FO Captain. @BastilaBey wrote: So there's a new thread about whether Luke or Finn is the new 'male lead' over at EE and I am so glad that fanboys have finally admitted that that's what's important to them. It's a question because Finn acted like Rey's comic relief sidekick plus was totally upstaged by Poe who had, like, 10 minutes of screen time. Storm Pilot isn't popular for Finn, you can be sure of that. so he's weak sauce lead if you ask me. But yes, what Luke Crushers really want is total Luke centrism. may b****ing that Rian raped their childhood, cause Luke wasn't in every frame of the movie, begin. Yeah it's a question because these people are completely obsessed with Luke. Which I get to an extent, he was the original hero but he already had his story. This is pretty much them already throwing Rey under the bus because it's clear now she's not a Skywalker. Just a Mary Sue...are they not interested in speculating where (cough, Kylo, cough) she got those amazing powers from? Guess not, that would be too Reylo a topic to discuss. And he's,in many EE's eyes Luke not having a wife and family means his life was wasted and just full of tragedies or something.So they think Rey is Mary Sue but yet want her to be his daughter?I just don't get why they cling so hard to this theory.They do realize that Luke would have missed half of his child's life if Rey was a Skywalker,right? @cienaree I was thinking Nash too, and I would love to have him and Leia somehow talk about Alderaan! One thing that really bothered me about ANH was that Leia never really got to mourn the planet being destroyed along with Bail and Breha. That always seemed weirdly unrealistic and it would be really emotional to get some of her thoughts even decades down the line. I love Ciena for the same reasons, she and Thane were both presented as very nuanced, emotionally conflicted people. Claudia is a lovely writer and I have high hopes for Bloodline. The Princess Leia comic series explain why Leia no longer wants to be referred to as a princess.....after Alderaan blew up, she decided to dedicate herself to the rebellion and building a new republic.....she asked that a new ruler be elected. It is hinted that her close friend and confidante Evaan Verlaine is the new princess of Alderaan. The local shop finally brought in the latest Star Wars and Darth Vader comics. Dr. Aphra's slowly becoming a new favourite character of mine. LEIA: Feel like taking over a prison? APHRA: You're kidding, right? I was gonna do that anyway. Phasma has sent Agent Terex, a former imperial storm trooper and now senior FO officer to pursue Poe. It seems that Poe intercepted some information for the resistance as it was being passed to the FO by a senator of the republic (Before the Awakening Novel).....now they want this information back. Agent Terex likes hanging out with aliens and the finer things in life.....Phasma disapproves of these things. Terex and some stormtroopers follow the tracker they put on Poe's plane and reach the subterranean dwelling religious group who see a giant egg as their salvation and are waiting for it to hatch. They hid Poe in the last comic and tried to pretend they had not seen him but Agent Terex began to threaten them. Poe gave himself up to save the worshipers and meanwhile his squadron wiped out a bunch of Tie fighters and aircrafts. Agent Terex isn't concerned. He has the stormtroopers burn the giant egg with flamethrowers and calls for reinforcements as well. I was re-watching TCW and Anakin said something really interesting in one episode (Hostage Crisis)...he gives Padme the legacy lightsaber and says "This weapon is my life." I'm wondering if it will have any significance in the ST.
"In the war for control of the galaxy between the armies of the dark side and the Republic, former Jedi Master turned ruthless Sith Lord Count Dooku has grown ever more brutal in his tactics. Despite the powers of the Jedi and the military prowess of their clone army, the sheer number of fatalities is taking a terrible toll. And when Dooku orders the massacre of a flotilla of helpless refugees, the Jedi Council feels it has no choice but to take drastic action: targeting the man responsible for so many war atrocities, Count Dooku himself. Ventress is a lot like Kylo in the sense that she's neither light or dark but her relationship with Vos is great and it's the kind of romance I hope Kylo and Rey ends up having or something similliar to them. Dark Disciple is one of my favourite SW novels....Ventress and Vos reminded me of Kylo and Rey in many ways, the most obvious being that they are both strong force sensitives......since I am not sure if you've finished the book, I wont discuss the ending...but when you do, I really would love to discuss this some more! This is a must read for anyone who likes reylo....Christie Golden has done a wonderful job! You are right about one thing- Ventress is a lot like Kylo....someone who was taken from her family at a young age....lost people she cared for.....felt betrayed by her master and therefore turned cold, dark and angry (someone who has given up caring for anything).....while Vos is the male equivalent of Rey....has never met his real family so made a family for himself at the jedi temple.....sweet, caring, liked by everyone, working in the underbelly of society but yet having led a very sheltered life....Vos is like this light that enters Ventress's dark life....so when he goes dark, the change is really startling.....I love the way their roles flip half way through the book...I can go on and on! Hahaha,don't worry I already knew the ending when I bought the book so I read it and then begain from the start but yeah it was so sad when Ventress sacrafised herself to protect Vos.Some people have criticized that as sexist(something about Ventress having to die for Vos to realize his mistakes) which I completly disagree with because it was such a beautiful written scene and a fitting end for her since she's suffered so much in her life and at the end found true love with Vos despite all the pain and heartbreak it came with it.I also liked the fact that Vos became a DS for a while and was able to understand Ventress's struggles.I really think for Reylo to have the same strong connection and understanding Vos and Ventress had Rey needs to fall to the DS temporary so she can understand the wrong choices Kylo made otherwsie she'll never be able to truly graps the power of the DS and how it changes people who start with good intentions but get twisted along the way.It's unfortunate the series was cancelled when they were just about to show Ventress and Vos's love story on screen. Well, I had had some experience doing novelizations before, and I find them very interesting. They’re kind of an in-between type of project: between a full-fledged original novel and a final, produced product like a full-fledged [television] episode. I was really interested because of the fact that it was so character-driven. That was the thing that really grabbed my attention. We had these two really interesting people, and they made such a fantastic pairing. It was so fun to hang out with them and chronicle their adventures and their good and not-so-good moments. How did the fact that you already had these scripts change the writing process? I actually really like it because it’s a very solid foundation. I learned early on that I am one of those [authors] who does very well with a detailed outline. Whether it’s something that I come up with myself or that I come up with in tandem with a writing group or if it’s even just given to me, that’s a really good jumping-off point for me to get my feet underneath me. I found it a really good guideline. As I moved forward with the storyline, I was able to ask some questions and get a little bit of leeway on some things and get a chance to develop things that were not given so much attention in the scripts. It is a lot less … I think people feel it’s constricted. I think of it like a sonnet: You have to do something, but you have to do it in a certain form and include certain things. To me, it’s almost more of a challenge than sitting down and starting to write. What did you think of Asajj Ventress and Quinlan Vos before you got started? I was not at all familiar with The Clone Wars, I am sad to say, but I have certainly rectified that. I have seen all of the episodes, and some of them many more times than once. [I] really, really did enjoy getting into them; that was a fantastic show. I was presented with the basic idea of [Asajj and Quinlan]. I’d heard a little bit about Ventress, and I was told she was totally bad*** and a really great character, and I found that to be 100 percent true. I really liked what I saw in the scripts. Bear in mind that while there are eight of them, they’re 20-minute scripts. There’s really just suggestions of some [plot] areas you can go into. Some were covered pretty well. Others were just hinted at. I really enjoyed getting to know them, Asajj most of all because she’s given so much time and so much care in The Clone Wars. All of the resource material was there to really spend some good time with her and get to know her. I found that their personalities, in the script and I think even more in the novel where you have the room to expand upon things like that—they really just click. It was a lot of fun. Did you pull anything out of the episodes with Asajj and Quinlan that you wanted to make sure you addressed in your book? You know, I think it was the three episodes where Asajj goes back to Dathomir. That really affected me. I thought that was some pretty powerful television. I was continually pleasantly surprised this show, that was allegedly for kids, was permitted to be. Those episodes, they really stayed with me, and I think that was such a crucible for her, in her character development and her shift [away from the Sith]. She really was reborn as a [Nightsister], and then [she] barely had time to even taste what that might be like before it was taken from her. For me, that was a touchstone that I would go back [to] when working with her character, trying to remember this place and what it had done to her and for her as we moved forward. I really, really enjoyed it. It’s a weird word to say for something that’s so rough, but [I] appreciated those episodes. To what extent did you work with [The Clone Wars showrunner] Dave Filoni to get a sense of where The Clone Wars had left Asajj? I really did not get to work with him one-on-one that much. We did have certain things that we, of course, would want to run by him and get his feedback on. There’s one bit in particular where I thought the script just didn’t do enough to do something. So I proposed, say, X, and he came back [and said], “I like this part of X, but not that part. What about Y?” And I would come back and go, “Oh, I love Y. How about Z?” And we’d get something that we were all really, really excited about. It’s more than the sum of its parts. All of us wanted FOR THIS BOOK to be really solid and really good. Right down to a line here and there, I wanted to make sure that everything was with the vision that I was given. It was a very well-described vision, [a] very well-realized vision, but in a novel you can take that vision to a whole other level. Later, I did have the chance to meet him, and I was so pleased that he was happy with what I had done with the scripts. Where did you extend the scripts most significantly? There’s obviously a lot of internal monologuing that we wouldn’t have seen on TV. We start off with a species that I got to create: the Mahran. There’s a member of that species that has become a good friend of Quinlan’s. So we had another character to bounce things off of. We had several more adventures. Because bear in mind, this was an arc that went—it wasn’t just one episode right after another. There were other storylines from The Clone Wars that worked their way in and around these [stories]. So there was a lot of time passing. For the viewer [if the show hadn’t been canceled and these episodes had aired in a normal sixth season], they would say, “Oh, wow, yeah, it’s been about a month since we’ve seen this storyline. I guess they’ve been off doing things.” Well, in the book, I get to show some of the things that they’ve been off doing. I got to come up with a few more adventures and slow down that getting-to-know-you process. If you just looked at the script, it looked kind of rushed, which wouldn’t be the case if you saw them as they were meant to be aired. But to just read from one script to the next, it was like, “Wow, [Quinlan and Asajj are] pretty close now. How did that happen?” So I got to slow that process. Especially for them, they’ve both got pretty good defenses up. They’re pretty strong individuals. I think they needed that time to feel each other out and get comfortable with each other before anything even resembling a romance could take root. There are some clear parallels between Ventress and Vos’ relationship and Anakin and Padme’s relationship. At one point, Ventress says to Vos, “This is the pain and the dark side speaking! This isn’t who you are!” You also include a very brief scene between Anakin and Padme. What did you want to suggest about these two pairs of lovers? I think that the dangers that we have seen with the Jedi [don’t necessarily suggest] that Jedi shouldn’t have attachments or that attachments are bad. I think the problem with these things is they come from a place of deceit. They come from a place of “I shouldn’t be doing this.” That was really one of the things that went wrong with Anakin and Padme. This is just my personal opinion. With Ventress and Vos, they kept secrets, and secrets are not conducive to trust. They are not conducive to a foundation. It gives [the relationship] that little crack for the darkness to seep in. It’s kind of like a crack in the foundation that rot can get in. How does Vos compare to Anakin in terms of his susceptibility to the dark side? The natural inclination is to try and compare these two, because they’re two very prominent examples of going down a similar path. But I think that Vos and Anakin are very different in very many ways. We see Vos being very systematically, deliberately, and calculatedly tortured. [Count] Dooku is applying not just physical torture, but some of the worst possible mental and emotional torture. That was, again, something that stretched over time [in the version of the story written for television], where Vos had disappeared, where he became Admiral Enigma [after falling under Dooku’s sway], where this started. It didn’t just kind of happen. We can only imagine what that man went through at Dooku’s hands. I think that Anakin fell for other reasons. The dark side isn’t just one shade of darkness. It can come in as many forms of temptation and seduction as need be. They’re similar in that they both did succumb, and they’re different in how each fell uniquely. There’s a great passage in the book where Vos first lets himself experience love, and he thinks to himself, “No wonder the Jedi Order had preached against attachment, or exploring the depths of one’s feelings. Who, having once tasted what Vos now shared with Asajj Ventress, would turn away from it?” What do you think of the Order’s no-attachments policy? Is it wise or foolish? I think we as human beings—and by extension, characters in Star Wars; whether or not they’re technically human, they’re still people—we do need a connection. We do need this sense of belonging. The desire for that, it can be very, very strong. If it is not satisfied completely in one way, we will find it in another way. Vos actually had that, which is what made him interesting to work with. He did have a connection, he did have a place of belonging, he did have a purpose, and he was very strongly connected to that. But I think what he found with Ventress and what she found with him was unique. I don’t know that this would have happened if they had gotten involved with other people. I think this connection was so intense and came from such a place of mutual understanding for what things had happened—for experiences shared—that it really did transcend everything, from both the good (“Well, you shouldn’t do that, but now you’ve done it”) to bad things, to making them stronger and better for having known one another. When she’s first teaching Vos, Ventress says of the dark side, “We can use it as a tool and stay ourselves—unlike the Sith.” By the end of the book, she regrets what she has done. She even says she hates the dark side for what it did to Vos. Do you think she recognizes that the dark side can’t just be dipped into and that it irreversibly corrupts someone? Wow, that’s a really good question. There’s so many shades of grey and there’s so many things that shape her. I think that she thought she could handle it. And I think she could. I think she did. But I think Vos could not. … It’s not like a recipe—you can’t take this much of the dark side, and this much of hatred, and this much of vengeance and have a perfect recipe that you can still walk away from and be whole. She might have had the ability to do that, and in the end, I think she kind of goes back to that with her choices that she makes. In the end, she is not controlled by the light side [and] she is not controlled by the dark side; she is herself, and she has made her choices. And the only time that she has faltered is when she has been afraid of making those choices—when she has been afraid to own up to what she’s done. That’s where the dark side got her. Every time she stood her ground and made her decisions, it did empower her. When Ventress sees the FUTURE and realizes that she has to sacrifice herself to save Quinlan, she describes the Force presenting itself to her in a new way, “giving her a gift.” Is this the light side filling her as she’s preparing to do something selfless? Do you think she was redeemed by the light in the end? What I thought it was was that she had to give to see clearly, which we all want and we don’t get. Sometimes we get insight and we can see more clearly. But she had this moment where she could see the outcomes right now at this kind of crossroads of this nanoseconds. And there was one thing that she could do that she could be proud of, that would save the man that she loved, that would make her life have meaning, and that she could take on her own terms. She made that choice and she was herself, she was true to herself and her decisions and what she believed to be the best thing the whole way. I don’t think that this relationship or those choices that she made weakened her. I think she learned from everything. It all kind of came to that moment. This was slightly address in the script. But it was hinted at—it was really just what we could see, not what she was feeling. And that inspired me so much to want to make this moment a real catalyst for her, this absolute moment on which everything hinged. I think that she went out on top of her game, completely content with her choice, and that as we do see, as things unfold, it was indeed the right one. The way that the book explains Quinlan hiding his fall to the dark side from Yoda and Asajj is that he lied to himself. Did this come from you or the Story Group? It has huge implications for how Jedi can sense the dark side in other people—like Anakin in Episode III. Well, you know, things get so muddied in recollection, and there was a lot of back-and-forth. I think that was something that I proposed. Because there’s something that—when you’re writing, you want to get to a certain point. And then you realize that the way you’ve crafted everything up to this point, to get where you want to go, somebody has to act like an idiot. So you have to backtrack and you have to kind of undo that, so that somebody doesn’t have to act like an idiot to get to that point. It’s called the Idiot Plot Point. What he didn’t realize was that in order to do that, he was going to have to start doing a whole lot of very, very dark things. He was kind of kidding himself. [Ventress] was trying to figure out what was going on, and she couldn’t. I think that this thing of intent—I love to write books in which good people do bad things. I’ve wrestled with that; that’s always intrigued me. It was like, “Well, why would somebody do this? Why would somebody do this?” Well, what if he really thought he was doing the right thing? And then you just keep taking step after step after step until you’re knee-deep in blood and you go, “How did this happen?” But gosh, you were trying to do the right thing. To me, that’s worse than going, “You know what, this is evil and I love it and I’m going to hurt people and I’m going to think this is great.” [laughs] To do it and not even now that you were doing it, I think, is the ultimate triumph of the dark side. To me, that’s worse. So, yeah, that was something that I came up with, and we kind of went back and forth on it and we thought that that would work technically, as a way where people couldn’t sense it, and also thematically, [so that] it would resonate in the book. I was surprised that Yoda agreed to endorse the assassination attempt. How did you square that with everything we’ve seen him say in the movies and The Clone Wars? Well, that was really tough, because right from the outset, we’re having Jedi doing something that is very un-Jedi. And in the real world, we see that. It’s, again, the classic [question of] does the end justify the means? If we could go back in time and kill Hitler, would that be a good thing to do? This is something that we wrestle with a lot in science fiction and as a morality question in general. It sounds really good. How many millions of people will live if we can kill him now? That sounds really good. But again, does the end justify the means? And I can’t make that decision for anybody—but I love wrestling with it. I will just say that I tend to lean toward Mace Windu in supporting the assassination attempt. It was interesting to see Mace confronting Yoda and Obi-Wan Kenobi on the question of whether to even attempt this, of what the deeper questions were. Yeah, and I really loved—the one thing I didn’t think I would find… I mean, I liked Kenobi, but I really got very, very fond of him in The Clone Wars and in writing this book. He is—almost more than Yoda, because we get into his mind—this [embodiment of] what it means to be a Jedi and where do you cross the line? He’s never been happy with [the assassination plan] and he’s going along with it and he’s trying to convince himself that it’s right. And there’s just something inside him that’s like, “You know, this isn’t right.” That, to me, gave a lot of extra resonance to the end—to what Ventress did. What Ventress did, she didn’t just save Quinlan’s life. She did a heck of a lot more than that, which I think is wonderful, and, I hope, a fitting tribute to her character arc. Let’s talk about the Obi-Wan/Ventress dynamic. That’s something we saw a lot of in The Clone Wars. You can really tell in the book that Obi-Wan respects the way Ventress broke free of her Sith indoctrination. Was that relationship a fun one for you to write? Yeah, I really love their dynamic. While [Obi-Wan] is very much a Jedi, he can understand grey, and he has a lot of empathy for [grey characters]. He won’t necessarily err because of that empathy, but he can see it and he can acknowledge it. From the very outset, once [Ventress’] name came up, he realized that this could work. He realized that she would be somebody who could do this. By the end, he saw everything that she had done and was able to truly acknowledge and honor that. Let’s talk about the most controversial issue: Did Vos deserve to be forgiven and rehabilitated? How much of his fall to the dark side is his fault? I think so. I think so. Because a lot of this was not … I won’t say “not guilty by reason of insanity” or anything like that. But [Vos] wasn’t seeing it. When he lost Ventress, when she [sacrificed her life to put him on the path to redemption]—he had a chance to get his revenge, and as she says, “You chose wisely. You chose the right path.” To me, I had to make sure that I sold the audience on that. The last [chapter] is kind of told voice. It’s not immediately in somebody’s head. It’s in a distant voice, [focusing on] just how broken [Vos] was, and how much it took for him to rally again and to come back. I wanted to do it that way because I wanted to show how it had affected him and how it had changed him and how he was absolutely not going to squander this thing that had hurt him so much. … This was a very bitter gift, and he was not going to squander it. So I think they were right. Compassion is a huge theme in this book. Obi-Wan is compassionate to a fault, as we know with Anakin, and we see it here too, with him refusing to execute Vos and Dooku. Mace Windu, on the other hand, is much more pragmatic about assassination and execution. What do you think of the Jedi’s approach to these issues? Are they too compassionate and soft? I don’t think they are. I think that, in a universe that has so much darkness, if you can’t have compassion for those who suffer from it, aren’t you being dark yourself? Are you interested in writing more Star Wars books? I would love to write more Star Wars books. I am a huge fan. I came to this as a total fangirl. I was 13 when the movies first hit the world, and it’s thrilling to be involved in it. If people enjoy Dark Disciple and want to read your other work, what should they look out for? My most recent release is a World of Warcraft novel called War Crimes, which also deals with some similar topics. I guess the cosmos wanted me to be pondering some of these questions. And I’ve done a few things for the Assassin’s Creed franchise—some coffee-table companion books for them, based on Black Flag and Unity. I’ve been very busy in my various [intellectual properties] and I enjoy working in all of them. There has been a lot of discussion about the role and use of female characters in Star Wars. How do you feel about being tasked with writing a female character that a lot of fans look to as representative? Certainly it’s quite a responsibility, and I took it very seriously. We [Del Rey editorial staff and the Lucasfilm Story Group] had a lot of discussions about that, and how loved the character was and how important she was to a lot of people. That was definitely on our minds, and we wanted to do well by her. I think the arc is pretty amazing for her. Really, there’s so much there, and it’s a very powerful arc. This book takes people in ways that you don’t necessarily think they should be going at first. And for good or ill, they’re going. But people grow. In real life people grow and they change and they learn and they change who they are based on learning things. That’s how we evolve. This was a great chance to see her grow and evolve past the "I’m mean and I’m clever and I can really kick a**." That’s still there, but we’re seeing other aspects to her that I think are more empowering, but not in a traditional way. An EU character is going to be brought into canon in the next season of Rebels- the announcement will be made during SW celebrations 2016- the popular opinion is that it is either Revan or Admiral Thrawn.